Soreen a household name in malt loaf products have brought out Disney themed mini loaves in both Toffee and Chocolate flavours. How could they not be a winner with kids? With Pixar images on the chocolate flavour and Frozen images on the toffee flavour I couldn’t wait to share these with my children for a full verdict! Soreen is a popular snack in our household, the larger loaves with the adults and the mini loaves with the kids as they are absolutely ideal for snacks, especially when out and about. Not only do they come individually wrapped, they aren’t messy, can’t melt and provide a fairly healthy bite to eat. We kind of knew what the Chocolate flavour would taste like as we’ve had the large Chocolate loaves before and we all love them. The Toffee flavour was new to us but proved to be a hit and was enjoyed by both children. I have to say that the Disney packaging didn’t go unnoticed either and they loved picking out which character they were going to have before eating one. I love Soreen products, not only do they taste great, they are low in fat. The mini loaves all come in at 100 calories or less, are individually wrapped and loved by both children and adults. Great for days out or snacks on the go – I know I use them for a multitude of occasions such as after school trips to the park, a snack after swimming/sports lessons, family days out, picnics etc Also watch out for special edition Soreen flavours in various sizes such as the Winter Spice edition large loaf that is available over the festive season – with every new flavour that Soreen release, be it chocolate, toffee or Winter Spice, they’ve never failed the taste test with us! My children just adore milkshakes so were super excited to try out the new ChillFactor Milkshake maker from Character toys. The cup is a well made, solid design and we couldn’t wait to get started trying it out. The cup comes with a solid straw that has a spoon on the end to get any slushy bits at the end. The cup has an insulated inner with a solid outside. The lid has a handle with a special bit that comes down to mix it all up. As with all ChillFactor cups you need to put them in the freezer first, in my experience overnight is best and you can guarantee you will then get the desired result. To make your milkshake you simply add flavoured milk into the frozen cup, in our case chocolate for a treat, add the lid and just shake and stir. In just a couple of minutes your flavoured milk will have turned into a thick, frothy, frozen style milkshake. My two children were so eager to try this that they worked together in creating their drink. The children took turns drinking through the straw which fits through the lid and informed me that it was utterly delicious and tasted like ice cream! As soon as they’d finished it, they made another one, as fortunately with this cup you can use it twice consecutively before it needs to go back in the freezer. This time they both wanted to get stuck in, so got an extra straw and very kindly shared it with each other. I did taste the drink myself and have to say I’d happily drink it as I am a fan of milkshakes myself and it definitely tastes better than just flavoured milk. The cup is great fun and also gets the children used to making things for themselves. Why not give it a try? Disney Art Therapy colouring books from Parragon are simply gorgeous. We received the Frozen and Princess themed books to try and they are both packed full of patterns with plenty to occupy your colouring desire! Both books are of a really high quality and quite thick with lots of pages. This means you can easily use coloured pens without the risk of it bleeding through the pages. Alternatively some sharp pencils would work well for a more subtle effect. The pages are based loosely on the themes of Frozen and Princesses and rather than being packed full of characters and action scenes, meaning these are more grown up and full of patterns inspired by the themes rather than a book aimed at the younger audience. This means they would suit an older child or adult and something I certainly could sit passing the time with. I think the patterns are really pretty and quite detailed with each page taking you on a different set of shapes and designs. These would be great for an older child, my daughter 8yr old Miss M was excited to see them and there really is hours worth of colouring in each book. They would be great to take on holidays, long journeys or one of those things to have around when you just want to do nothing and have a doodle – why not colour a page in one of these books instead? Colouring books for adults have really become fashionable of late and these certainly fit the bill for any Disney loving fan. They are feminine with intricate wallpaper style designs filled with swirls and also some bigger mandala style images, so give one a try now and get creative with colour! 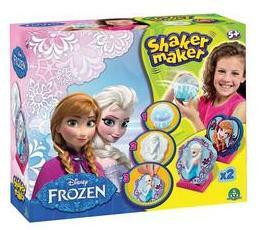 Disney Frozen Shaker Maker Elsa and Anna is a children’s sculpture kit that is really easy to do and makes minimal mess. 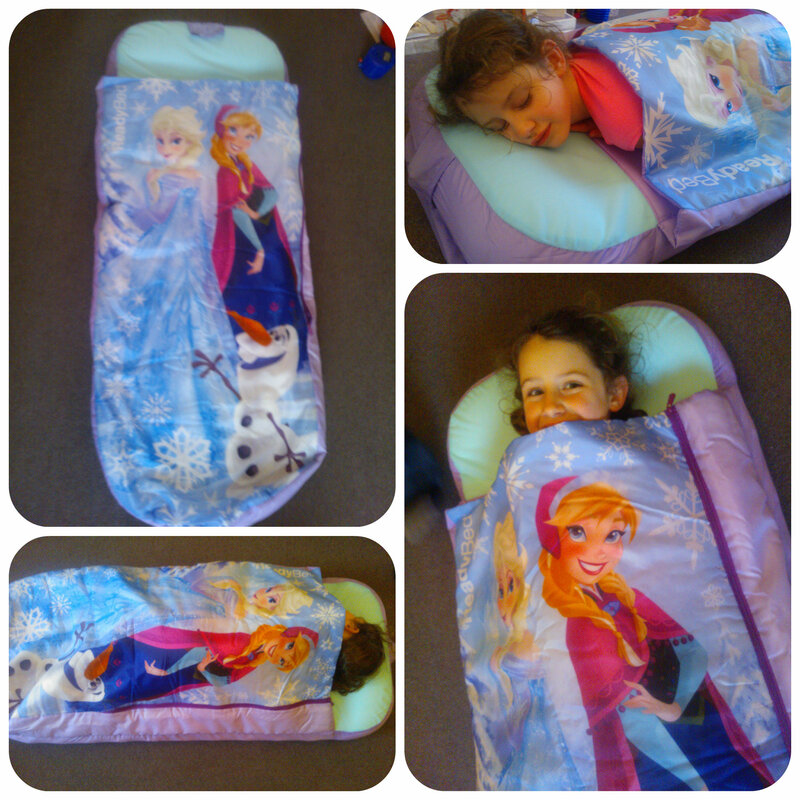 With several variants available, the Frozen set is adored by most young girls and Miss M couldn’t wait to try it out. 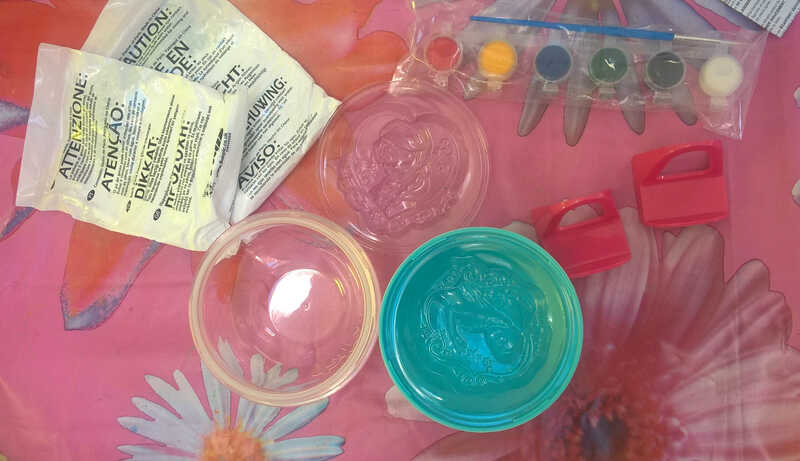 The kit comes with a unique ‘shaker maker’, 2 moulds, 2 packs of powdered plaster, 2 stands a set of paints and a paintbrush. First it’s time to create the plaster models in their moulds which I think gives really impressive results for minimal effort, perfect for children. You need to add one of the moulds into one half of the Shaker Maker then you simply pour some warm water into the other half, add the powder, screw the two halves together and give it a shake! Then simply unscrew the unit, making sure the half with the mould is underneath and then leave for 90 minutes to dry. You can then tap the plaster statuette out of the mould and I have to say I think the results are brilliant. You get a really detailed model that is perfectly smooth, they look really good. It’s then time to bring them to live with some colour using the paints provided. Miss M found the colours of the paints a little frustrating as they were primary colours, but I did help her to mix some to make more recognisable colours for the frozen themed characters. She did also use a couple of other paints she already had. I have to say the paintbrush is fantastic, unlike a lot of kids brushes. This one is really pointed helping to get some detail and fine brush strokes onto the characters. Miss M worked really hard on her painting and I just love her finished results. The plaster moulds simply sit in the little pink stands and can be displayed wherever you fancy. Miss M has these now on her bedroom windowsill which look lovely. Today is National Puzzle Day, a fantastic time for families to sit down and enjoy a large jigsaw together or children trying to do a puzzle of their favourite characters by themselves. I’ve always been a fan of jigsaws and have my encouraged my children to do so too. Jumbo Games have a wide variety of puzzles available for all ages and tastes so there really is something to suit everyone. 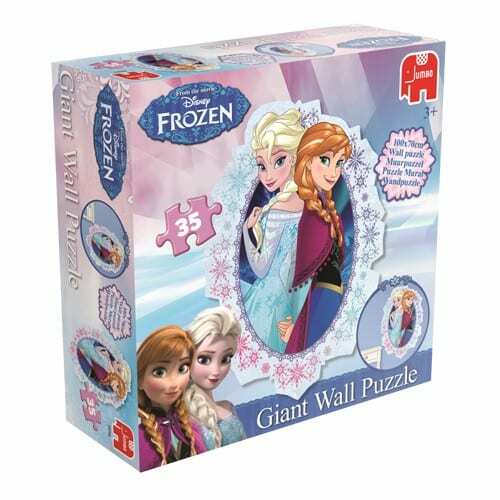 The Frozen wall puzzle is not only a jigsaw, but once complete it comes with glue to which you spread on top to join all the pieces together. You can then hang the puzzle on your bedroom wall. The other special thing about this puzzle is the size. It may only contain 35 pieces but the completed puzzle is an awesome 100x70cm!! Both my children love having popular characters on their clothes, shoes and other items and Brantano have a great selection available. 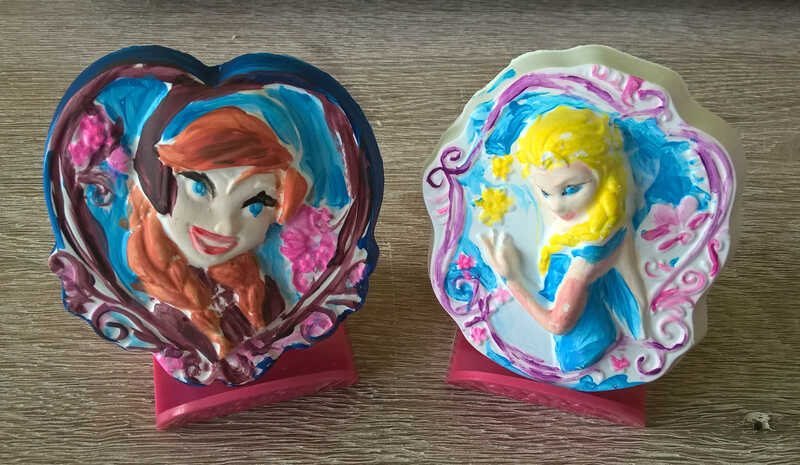 With characters such as Peppa Pig, Star Wars, Frozen, Minions, Barbie, Disney Princesses and many more there really is something for everyone and they are sure to have your children’s favourite. 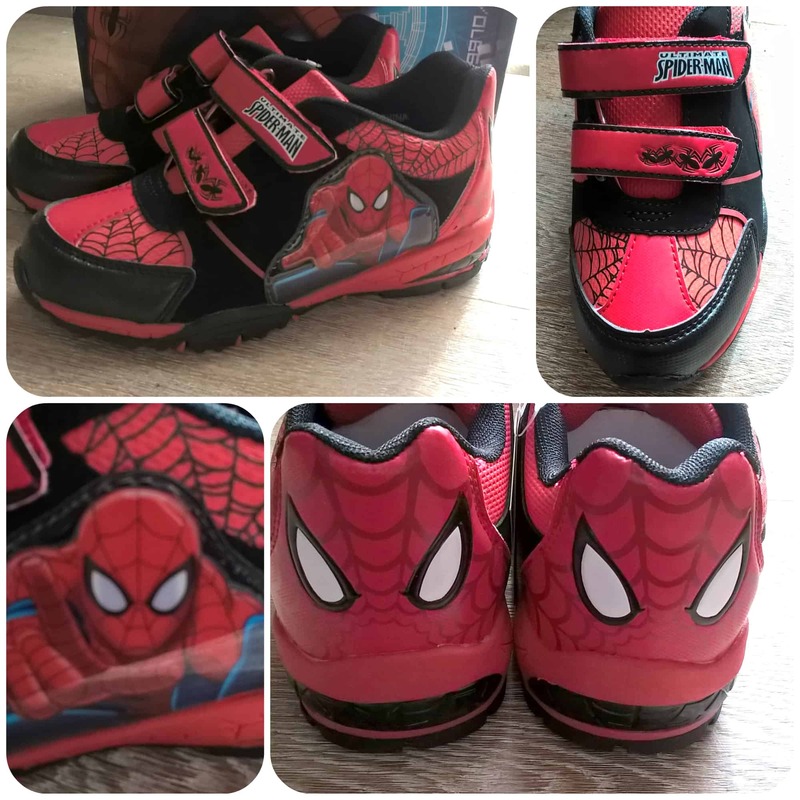 With Mister B loving Spiderman right now, these Spiderman Light up trainers were sure to be a hit. He absolutely loves them and doesn’t want to take them off. At £24 they feel well made for character shoes, and have lots of thought about detail and easy to fasten velcro straps. The exciting bit for Mister B is jumping around and watching his shoes light up at the heel with a bright red flash! 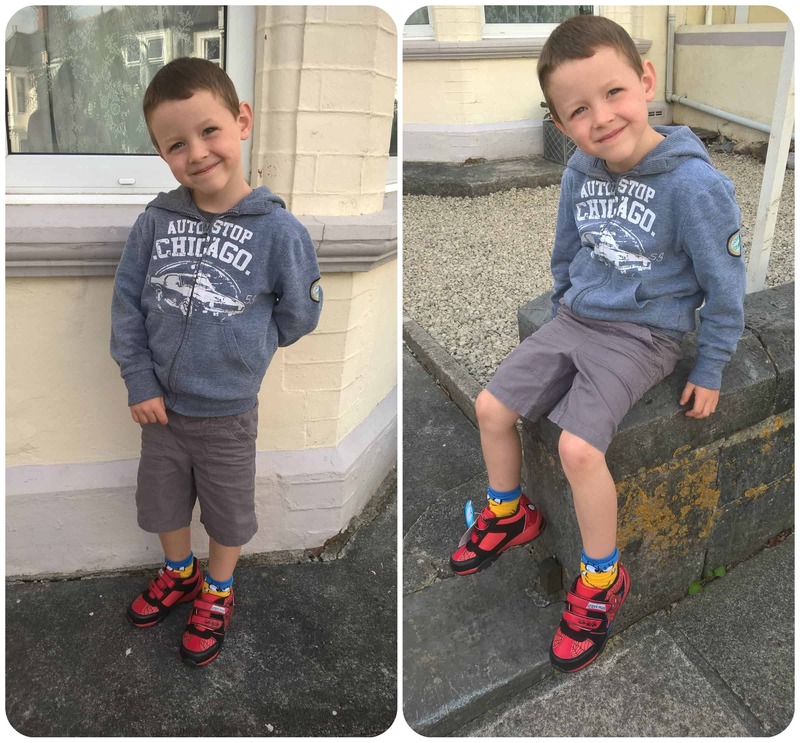 They fit well and are comfortable, meaning he’s happy to wear them and they are great for walking about in for everyday wear, after school and at weekends. As you can see he loves his shoes and I always think it’s a good thing if a child likes their shoes as it’s so much easier to get out of the house rather than battling with them to put things on they don’t like. 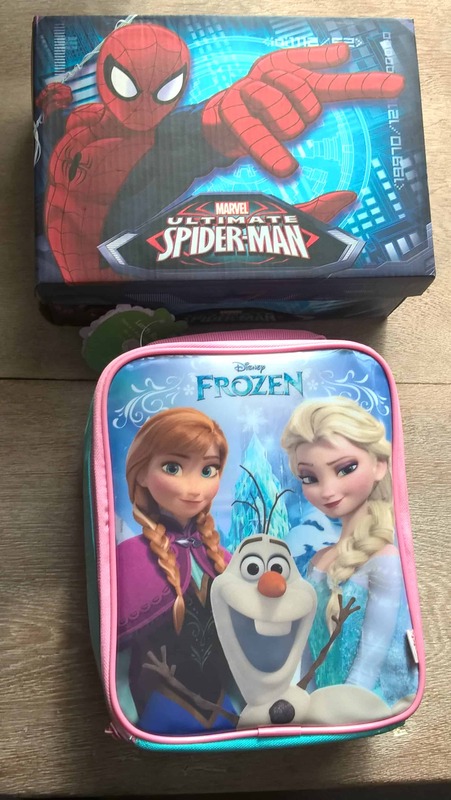 Miss M is back to packed lunches at school this year so needed a new lunch box and was thrilled to pick out this Frozen one. It’s a lunch bag style with a soft, padded carry handle and zips around to close. It has some pretty detail on the side and on the back it has a place to write your child’s name. It’s a really good size so easily fits food for lunch, snack and a drink bottle inside. It has a grey wipe clean interior that is easy to clean with a quick wipe round and it’s ready to use again the next day. 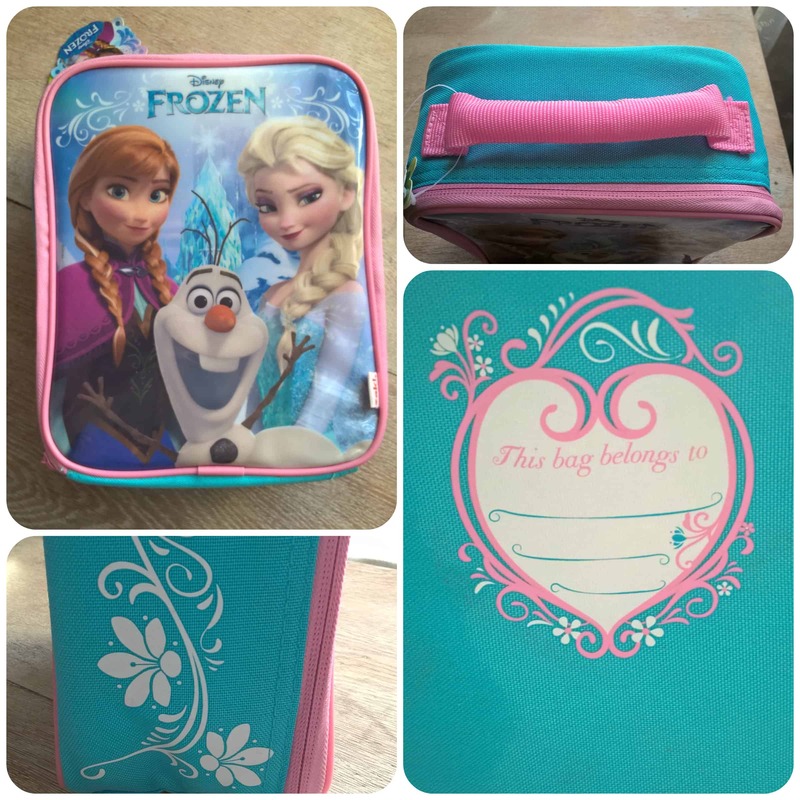 Miss M loves her Frozen themed lunchbox and it has daily use at school each week. Why not take a look at the other character products at Brantano? 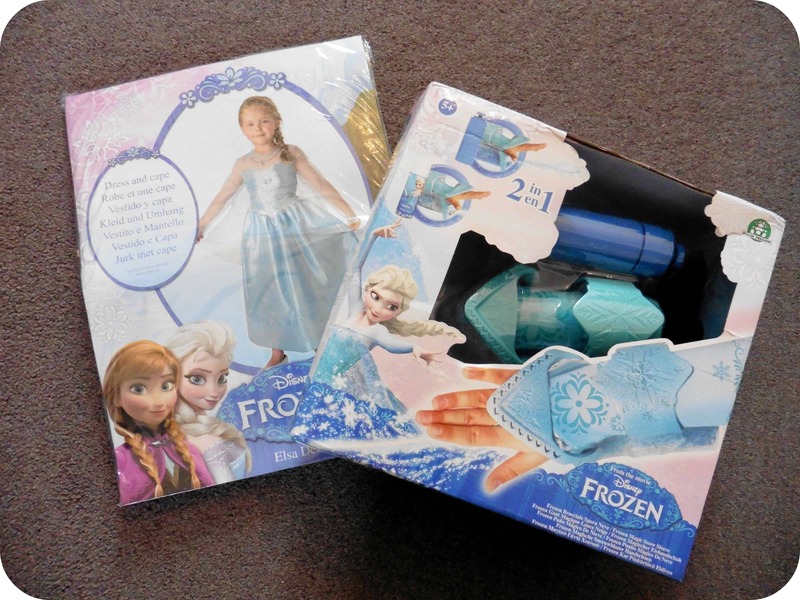 Disney Frozen Elsa Magic Snow Sleeve is one of the latest Frozen toys to be released by Flair and is sure to have instant appeal to any Frozen fans out there. A sleeve that can be worn on your arm, with a can of magic snow attached that dispenses when you lift your arm in the air, turning the world into an icy, snowy scene just like Elsa. 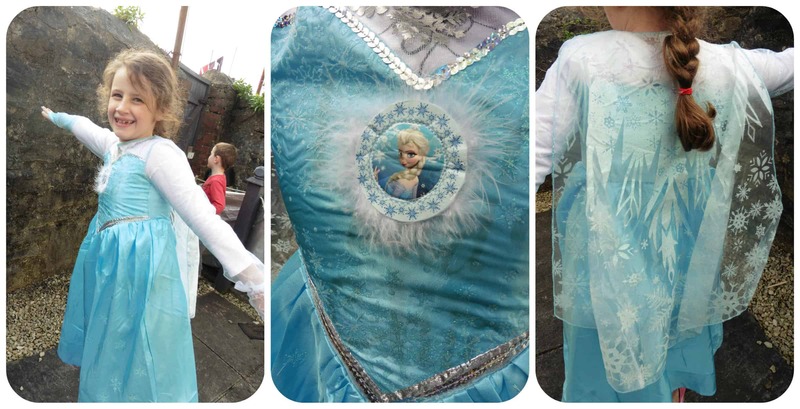 We also received a Princess Elsa costume from Rubies, a well made costume with plenty of pretty detail and detachable snowflake veil. 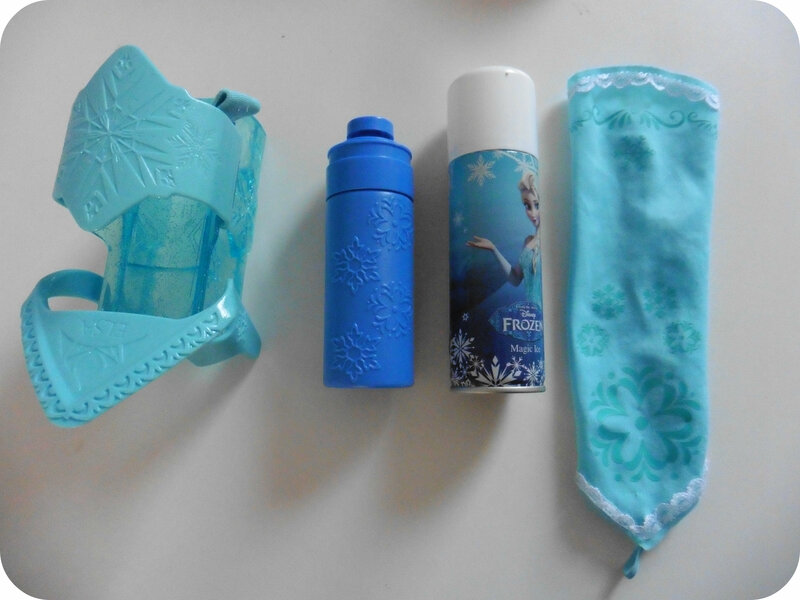 The Disney Frozen Elsa Magic Snow Sleeve consisted of a plastic holder, a decorative turquoise sleeve to wear, a can of magic snow and a plastic reusable water bottle to use when the magic snow can has run out. We found the can/water bottle simple to attach to the holder and Miss M did this on her own along with putting it on her arm. And then came the magic…. I have to say I have never seen two children so giggly, excited and caught in the moment of snowy mayhem! The only disappoint was that after just a few minutes the can of magic snow was empty and I had two children desperate to continue play. We then filled up the water bottle which works in the same way although requires pumping (so pushing your hand forward and back) rather than a continuous spray like the snow. This did allow the fun to continue and I can see the children having fun with this during the summer in the garden. Don’t forget that Frozen Fever, the new short sequel film to Frozen is released on 27th March, perfect to watch with any young Frozen fans. New Year’s Day is my daughter Miss M’s birthday so we always start the New Year with birthday celebrations. This year we had a quiet, relaxed day, spending time with family for lunch, birthday cake and Miss M opening her presents. 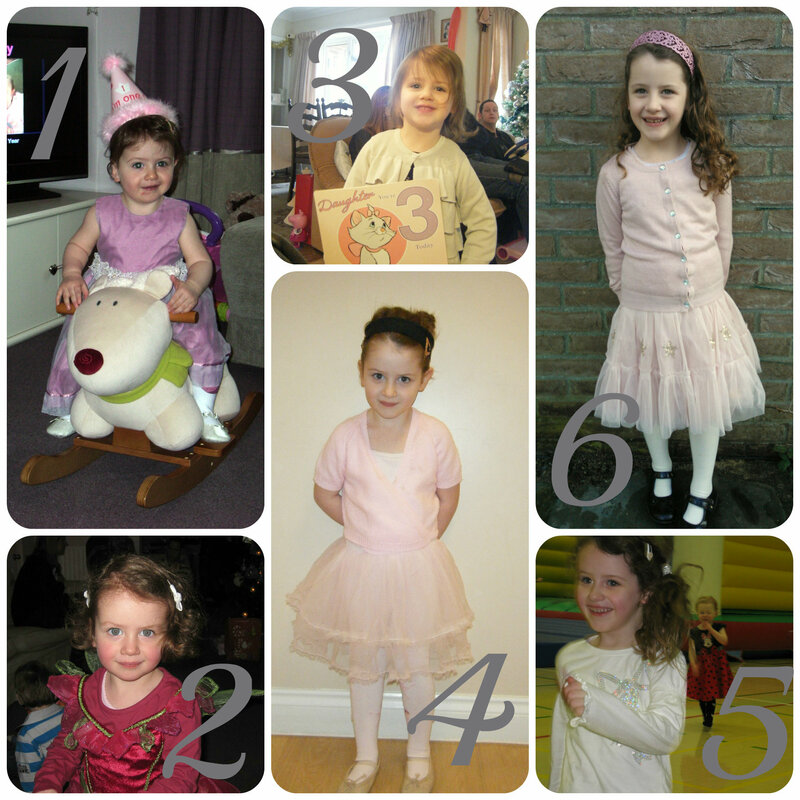 I really can’t believe where the last seven years have gone! 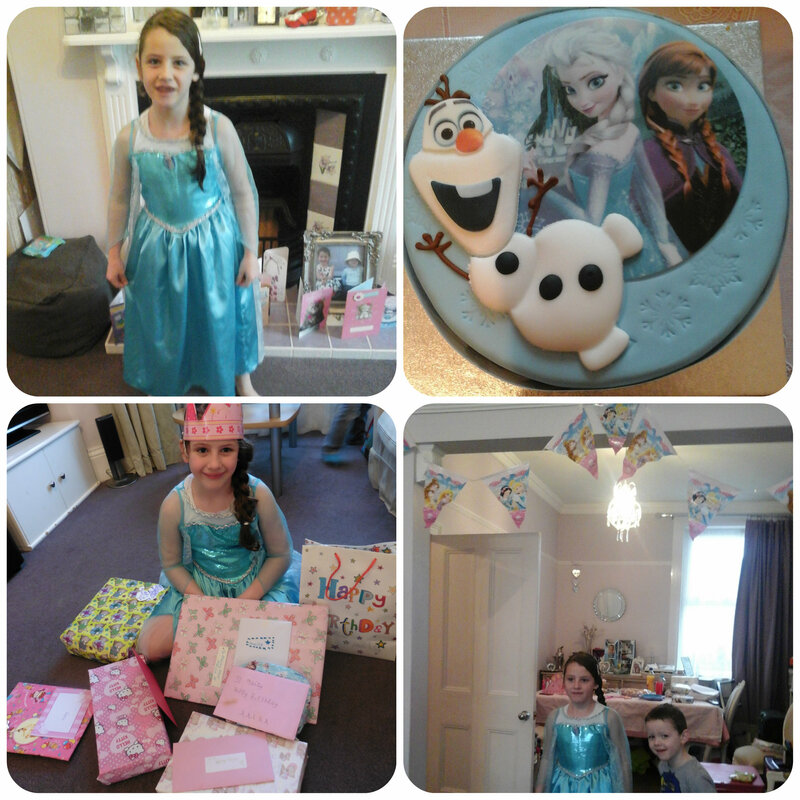 She was insistent on having a Frozen themed birthday party this year, in particular she wanted to wear the Frozen dress up costume that we reviewed a couple of months ago. 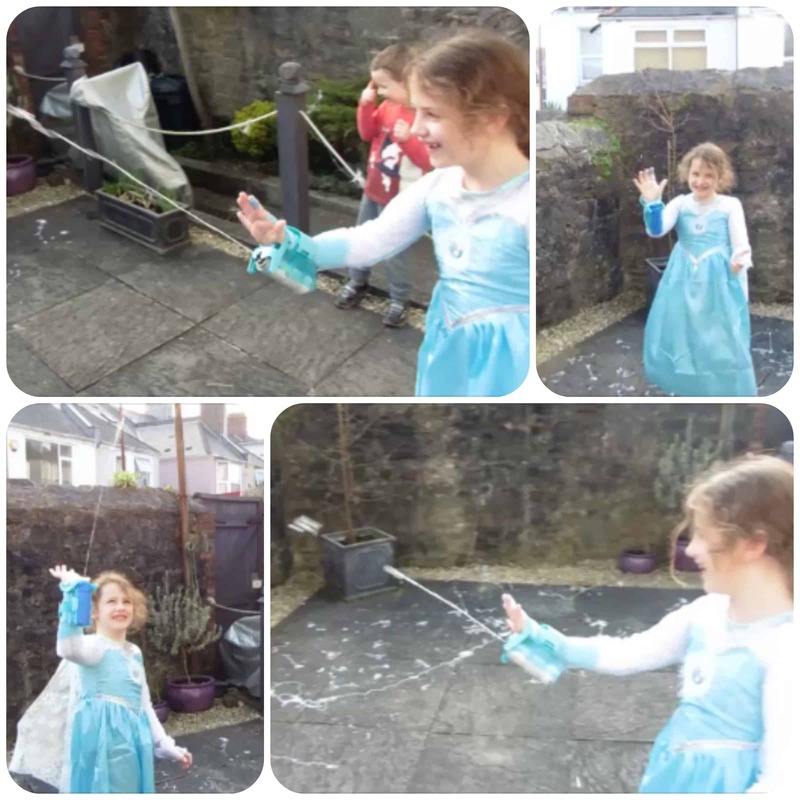 We played the usual party games, pass the parcel, musical statues etc but I wanted to find a few different games and after having a google, I came up with these variations on games to which I put a frozen twist. Musical Icebergs – I cut the edges off of sheets of white paper to make them look a bit more geometrically shaped and these were the icebergs. When the music played the children had to dance around. When the music stopped each child had to stand on one of the icebergs. Then remove an iceberg so that in the next round one child is out until you get down to just one child left who is the winner. 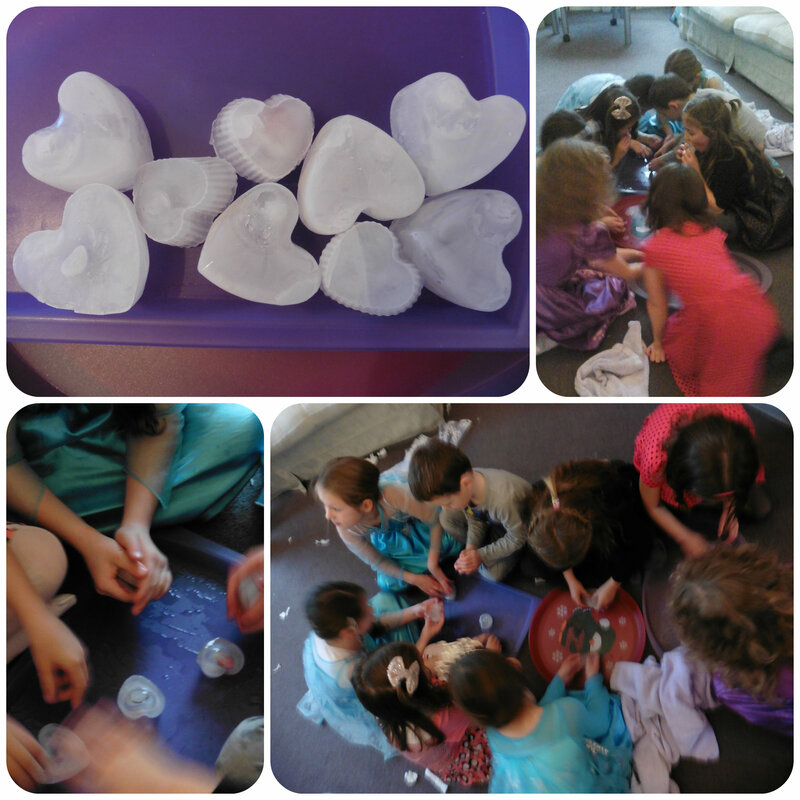 Ice Jewels – For this I had a toy princess ring for each child which I froze in heart shaped silicon cake moulds to create ice shaped hearts with treasure trapped inside. To rescue the treasure, each child had to melt the ice with their hands until they found their ring. This could be variated and I put a little Squinkie car in one for my son. Dress up as Olaf – I put the children into two teams and each team have to turn one member into Olaf. I bought some value toilet roll which they used to wrap one team member up in, and also add a woolly hat and scarf to them. You could judge one team to be the winner but I decided to let this just be a bit of fun which they loved and then turned the room into a snowball fight afterwards! 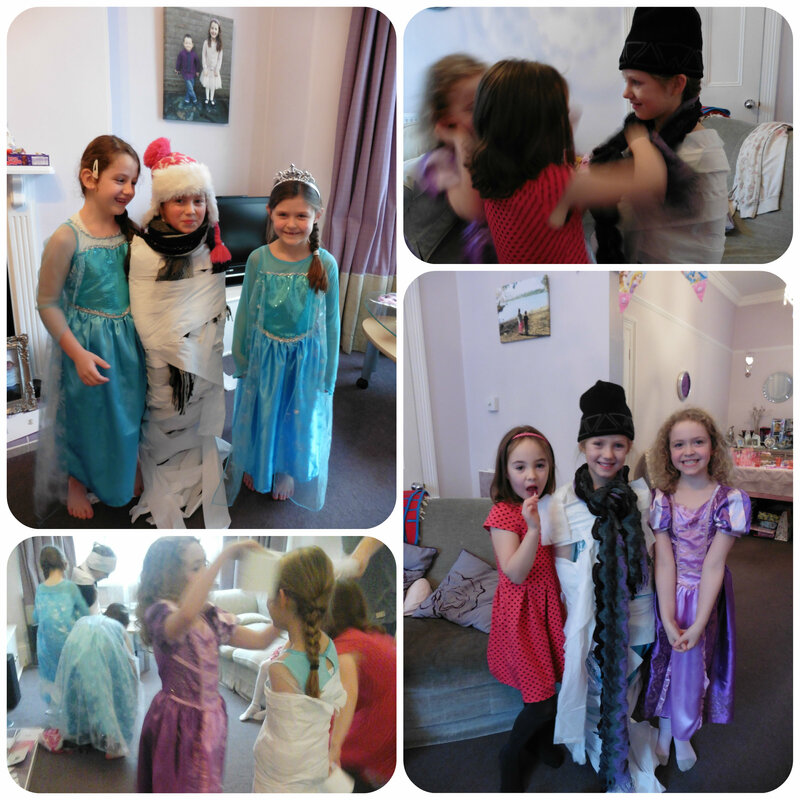 Dressing up as Olaf was great fun, there were lots of giggles and excitement throughout. Mister B has now asked to play this game at his next party! The ice jewels also proved very popular, I wasn’t sure everyone would want to sit melting ice between their hands but they loved it, and it kept them quiet and occupied for a while. I gave them trays to melt the ice over and handed towels out so they could dry their hands during it. They got quite competitive towards the end as their blocks got smaller seeing who could finish first. I’d definitely use this game again. Overall the party was a great success and all the children seemed to enjoy themselves. I think the small effort in trying some games that were a bit different kept the girls occupied and they were intrigued to find out what we were playing next. 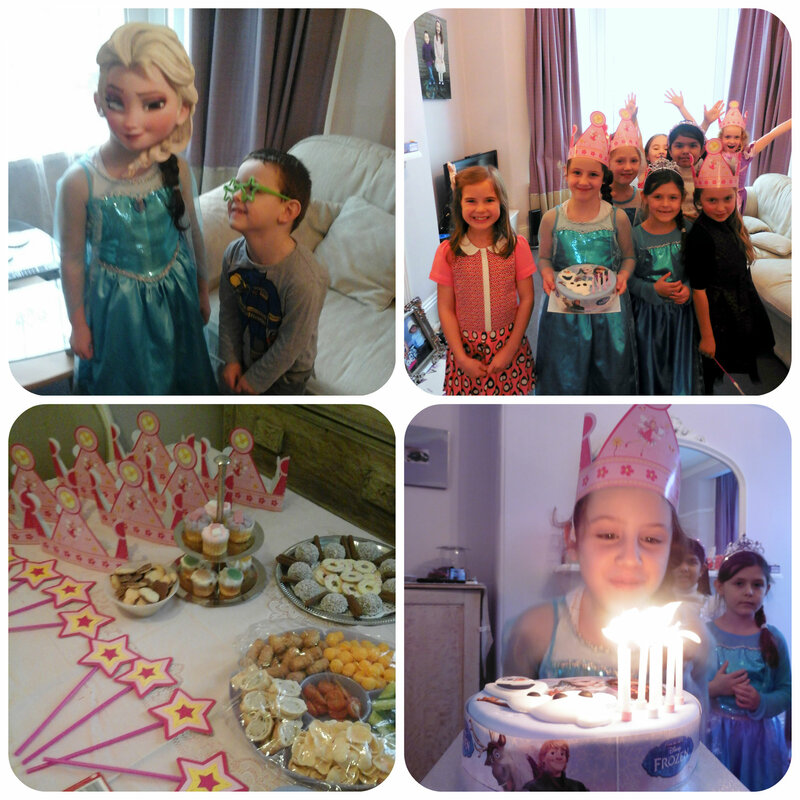 Miss M had a fabulous birthday and party and now it’s all over until next year. She has become so grown up over the last year, I’ve really noticed a difference in her behaviour and mannerisms. She’s also had an amazing year at school. I hope 2015 is another fabulous year for her and she succeeds in all she wants to do! The Disney Frozen Junior Readybed from World’s Apart has to be every little Frozen fan’s dream bed. It certainly was Miss M’s when she saw it, in fact she wanted to sleep in it every night as opposed to her own bed! 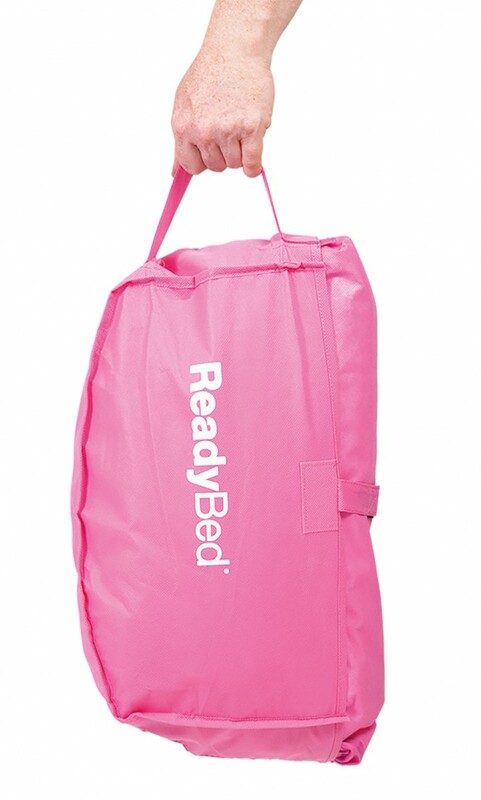 The readybed is a fantastic idea, a sleeping bag, matress and pillow all rolled into one, perfect for nights away, sleepovers with friends, camping etc. I love the way that it all folds up into it’s own bag, complete with carry handle and simple enough for my daugher Miss M to carry around. The design on the the top is Disney Frozen and depicts the main characters, Princess Elsa, Anna and Olaf the Snowman. 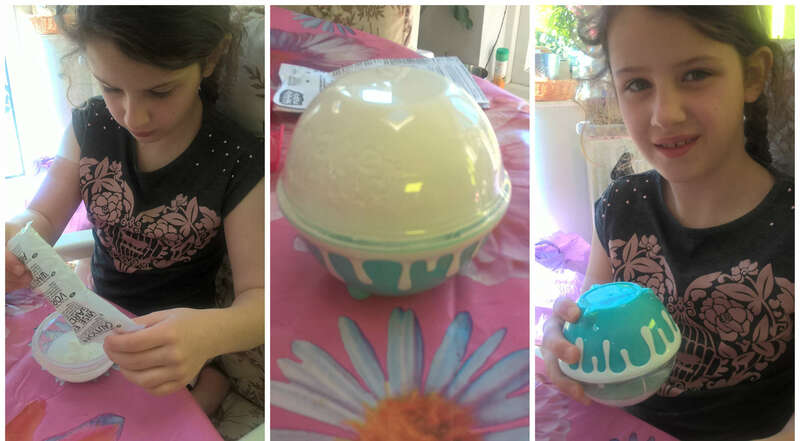 With lilac and turquoise colourings for the base and inside, it is pretty and perfectly compliments the picture on top. A simple plastic foot pump and tube is included to pump the bed up although this wasn’t great, we had a similar, slightly larger one at home that pumped the bed up in double the time! But regardless it does only take 5 minutes to turn this bed into comfy matress ready to sleep on. Miss M didn’t hesitate to get inside the second we had finished pumping the readybed up, in fact she didn’t want to get out! She’s slept in it for the last couple of nights and has no complaints at all so I’m guessing it’s suitably comfortable. It is suitable for ages 3+ and is 150cm long and with Miss M being a tall 6yr old she fitted very comfortably inside. 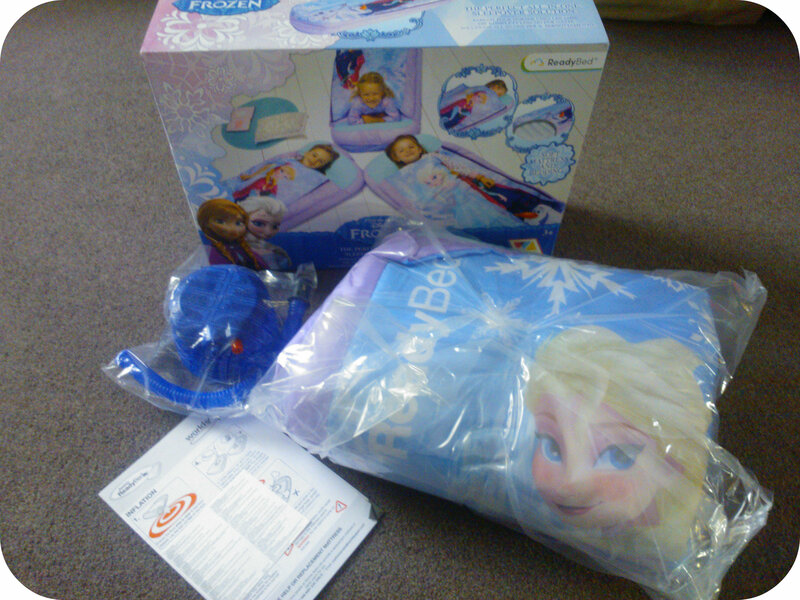 The Disney Frozen Junior Readybed has been a huge hit with my daughter and I can forsee lots of use out of it therefore I would definitely recommend it, just a shame the pump wasn’t a little better. All reviews are my own and my family’s opinions and we received the readybed in order to write the review.